.CA Domain Owners: Update Your Contacts! 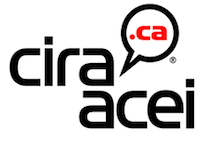 Starting September 30th 2014, .CA domain owners could receive communications from the CIRA (The Canadian Internet Registration Authority), requesting the update of the registrant contact information of their domain names. Indeed, since March 6th 2014, any new .CA domain registration requires that all contact information is completed. Whereas before, you could only specify the owner name without including an address, email or phone number. In a continuous effort to standardize and improve domain registration security, the CIRA now requires that all contact information is provided. Generally speaking, in order to avoid the possible suspension of your domain name, Funio highly recommends the respect of domain name registration terms. If your .CA domain name is registered with Funio, all you need to do is log into your Customer Hub to update your contacts with a few clicks. To help you with this process, take a look at this article from our knowledge base. If you have multiple domain names to modify simultaneously, we also provide a bulk modification tool in your Hub. Consult this article for more details on this essential tool. … you must have a Canadian presence to register a .CA domain name? Indeed, you absolutely need to be a Canadian citizen, or a company, association, institute etc. that is based in Canada. … your .CA influences your SEO ranking? A .CA website has a better ranking with people using a search engine within Canada. … contact information is automatically confidential with every .CA domain? When you make a WHOIS lookup on a .CA domain, the domain owner’s personal contact information is not displayed. However, companies that are .CA domain owners cannot make their contacts private. If you have questions, our support team is always happy to help!